This charming little Cape is perfect for a brisk day playing at the park. It is comfortable enough for toddlers to run around in, yet cute enough for a dressier occasion. 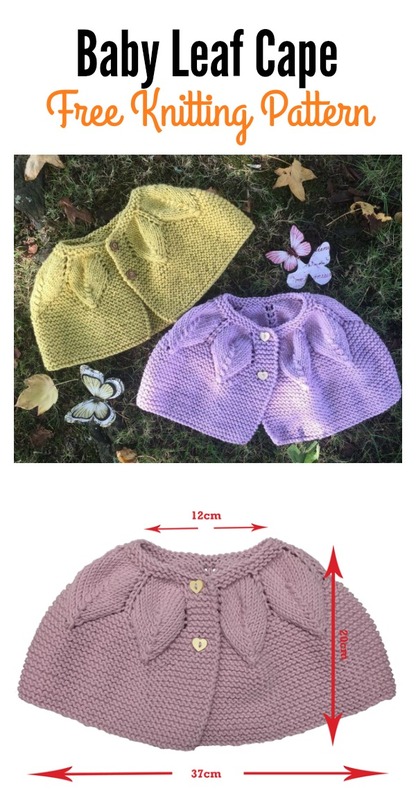 The Baby Leaf Cape Free Knitting Pattern is a delightful baby accessory. The bright colors are incredibly playful. It is soft and stretchy enough for even the fussiest babies. You’re going to love the finished result. This pattern would make a great baby shower gift or first birthday present. Enjoy. You might also like Hooded Cape Free Crochet Pattern for Girl.